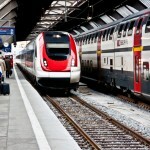 Feeling Unloved by Swiss Railways? It’s been a week of shattered illusions in Happy Valley. As if the Swiss National Bank‘s unexpected, abrupt ending of the Swiss franc 1.2 floor in January 2015 was not enough to disillusion your correspondent, now comes the humbling of yet another pillar of Swiss predictability and reliability. I am speaking, of course, of the CFF, the Swiss national railway service. I’ve always considered it to be a wonderful way to travel. Generally on time, to the minute. Reasonably priced (at least with a half price card or demi-tarif). Courteous staff. Pretty decent food and wine, served in proper restaurant cars. And, which other railway can claim to have the look of its station clock face copied – and royalties paid — by no less a design maven than Apple? Imagine then your correspondent’s reaction to the news about the CFF in and around Happy Valley over the past few days. April 25: A derailment in Daillens. 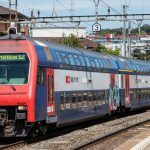 Service disrupted between Lausanne and Yverdon. Resumed this week, although at reduced levels. May 5: “Another hard blow to the CFF”, according to the RTS: Land subsidence from heavy rainfall hits the line in Paudex. 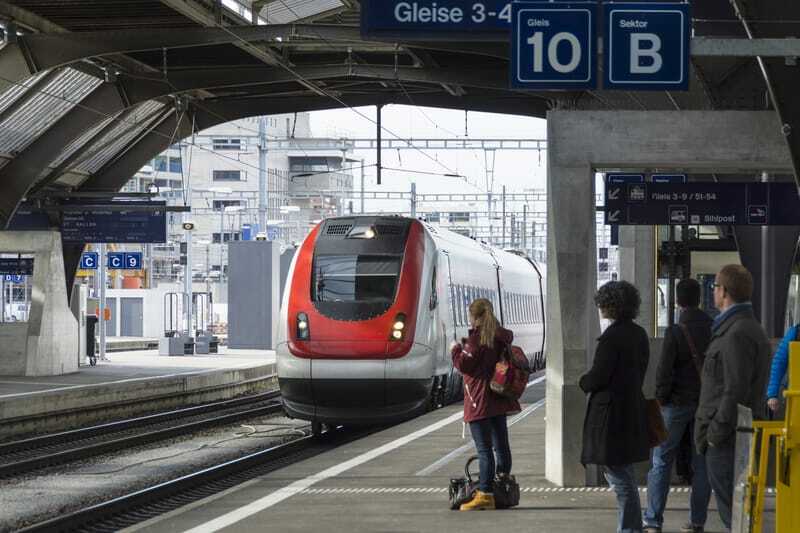 Service disrupted between Vevey and Lausanne that morning. Resumed a few hours later, although with reduced service and delays of a few minutes. May 6: 24heures.ch reports that a freight car has derailed in Denges. While the accident occurred in the freight train sorting yards, nervous travelers were nonetheless reassured by the CFF that passenger services have not been affected. 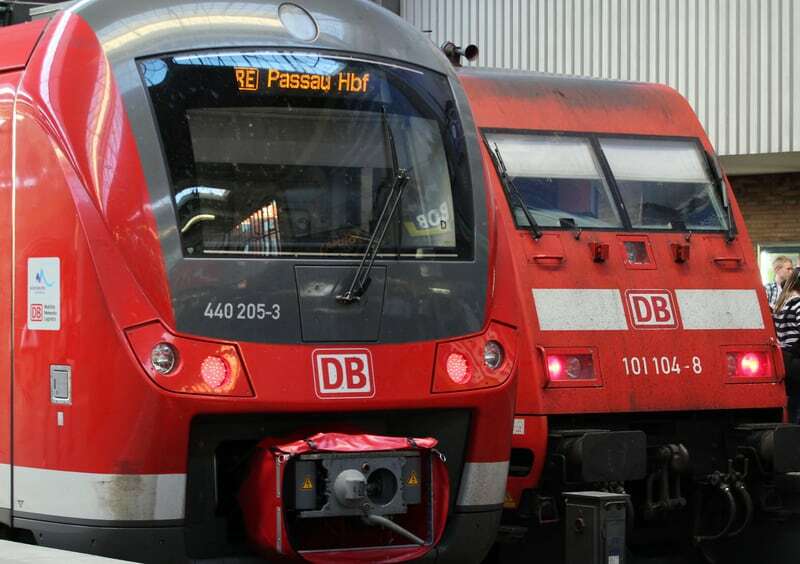 And so just as your loyal correspondent was about to grab his pitchfork and torch to march upon Lausanne Central Station, a sobering piece of news appeared on the wire: The latest update regarding the rail strike in Germany. This, to recap, is a 7-day strike, nationwide. It’s the 8th strike in 10 months. Commuter services are “paralysed” according to the Financial Times. 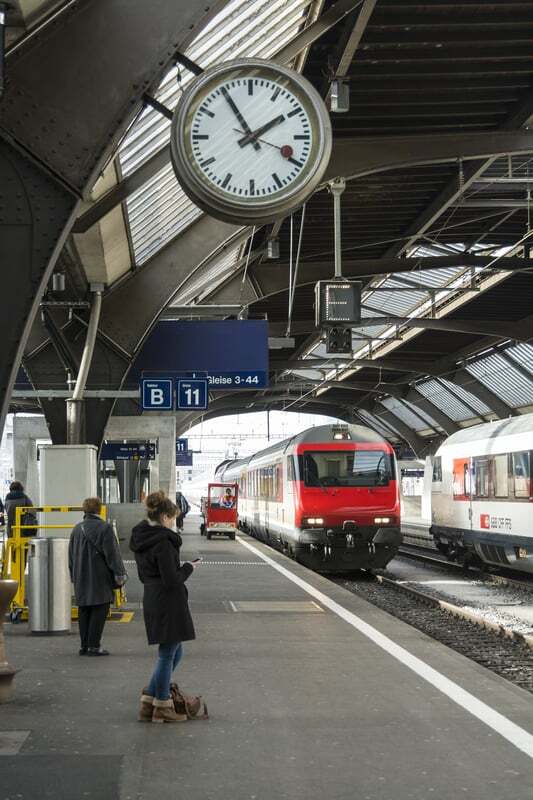 And there is no sign, at least to your correspondent’s knowledge, of any kind of national gesture in the works involving rail pass extensions, or of Milka bars being handed out to inconvenienced travelers at Hamburg Hauptbahnhof. Does the SwissPass protect your personal data? Questions are asked. I cannot believe – unless you are trying to be “tongue-in-cheek” – that you consider one derailment and a minor disruption caused by land subsidence to be “a crisis”?! 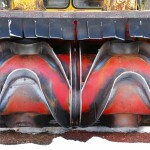 (The other derailment in a freight yard is hardly the stuff of nightmares). Presumably you have travelled on trains in the UK, for example? As for land subsidence after heavy rainfall, the inference is that this was somehow CFF’s fault?! I’m glad you ended your piece with a reflection on what services can be like elsewhere (and Germany is far from being the worst in terms of train service quality!). We are hugely fortunate to live in a country that invests as much as it does in a fantastic railway system, and despite that, people are still reluctant to get out of their oversized cars to walk as far as the railway station. You do the CFF – and the hopes of getting more people to forego their vehicles even if only occasionally – a disservice by implying that its excellent levels of service have deteriorated. It can surely do without the unjustifiably negative publicity, particularly from affluent residents of the Happy Valley bubble set.